Every time you pull out a bespoke tailored shirt commissioned at Knights & Lords from your closet, it is supposed to remind you of the journey that you had begun when looking for tailor made shirts in Dubai. Right from the time you first walked into the tailoring house to when you walked out with your crisp handcrafted bespoke tailor-made shirt which is catered to your precise needs and exacting measurements is a journey that you are meant to cherish and treasure for the years to come. At ones, disposal is fabric bunches laden with the finest cotton and with the precious advice given out by master tailors, Ashish & Pawan of Knights & Lords as per the purpose of one’s latest commission of bespoke custom shirts puts you in command of your own wardrobe dictated by only your own whims and desires. The best-tailored shirts in Dubai are only perfect if they satisfy the purposeful needs whilst enhancing the appearance of being a true reflection of the personality of the wearer. Bespoke custom made Shirts befitting the poise with plentiful collar and cuff options along with personalized monogramming becomes reflective of it being brought to existence by Knights & Lords Bespoke Tailors due to the discerning demands of the person commissioning it. Paisleys with other trimmings adorn the inner sides of the bespoke tailored shirt with discrete displays of an effervescent personality. At the back of your neck is not an irritable label or tag but the touch of the fabric chosen by you for this custom tailored shirt commission at Knights & Lords Dubai. 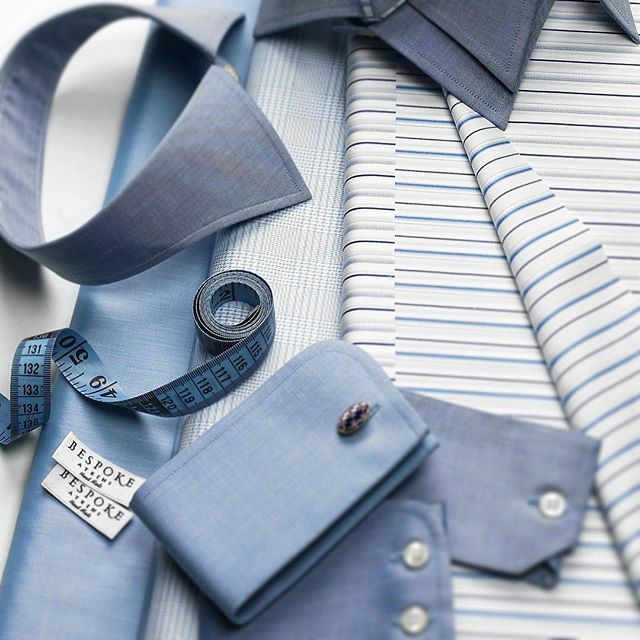 Trialing often adds to further refinement of a tailor made dress shirt. For the best shirts, precision only comes with fittings done on your natural body than a perfectly symmetric bust. The commission of bespoke tailor made shirts is only complete if, in the end, it has set you on the path for a purposeful journey. A journey that will eventually open your Eye of Bespoke.